At 9bark DESIGN, our focus is on residential design. Our goal is to create the spaces for your outdoor living experiences: outdoor spaces that are tailored to your lifestyle; outdoor spaces that invite you to spend time and create lasting memories with your family & friends. Our approach is one of collaboration. We listen to you, the client. We ask questions to help us understand how you interact with the great beyond right outside your door, what your style is, how you want to connect with your landscape. We ask for your feedback on the ideas we formulate for your project to ensure the design is tailored specifically to your needs. We work closely with the landscape contractor, architect and other design team members involved with your project. Residential landscapes afford the opportunity to create visual and functional connections between architecture, outdoor living spaces, and the natural environment. Unique settings and views, textural and seasonal qualities of plants, and the use of distinct garden details all contribute to dynamic outdoor spaces meant to be enjoyed through all seasons. Whether you are building a new home and landscape, or doing a renovation of your existing home and/or landscape, 9bark DESIGN will work to design and create the roadmap to guide your project. 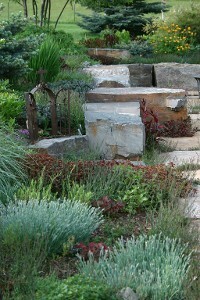 Contact us to learn more about our work with landscape design and construction. Serving Bozeman, Big Sky, Belgrade, Livingston, West Yellowstone, & the Greater Gallatin Valley in Southwest Montana.